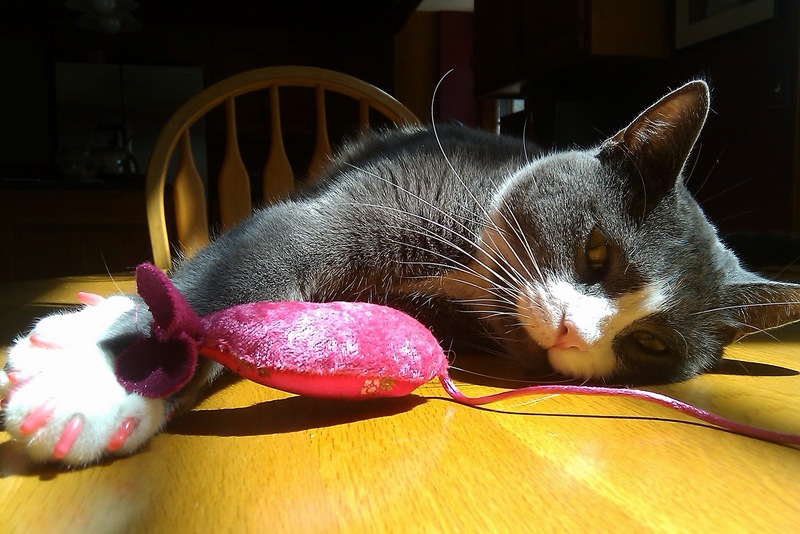 A Tonk's Tail... err, Tale...: Do you know what's in your pet's food? Over the past decade, people have become increasingly more health conscious. This can be a highly controversial topic - just look at the hot debate surrounding New York’s attempt to pass a soft drink tax in an effort to discourage unhealthy diets! This controversy spills over into what we feed our pets as well. Our post for Nutrition Month isn’t going to go there. Yes, we feed grain-free. Yes, we feed raw. However, we’re not going to try to convince you our way is the right way. If you want to initiate a conversation about it off-grid and find out why we do it, we’d be happy to chat. But bottom line, we understand that the best diet in the world isn’t going to do a cat any good if he or she refuses to eat it. What we'd like to do instead is to provide you with information, sources and links you can use to help you make the best decision for the pets in your family. It might be helpful to know exactly what the U.S. government does and does not regulate. In the source notes below, we’ve provided you with links to the FDA's web site, so you can read about it in greater detail directly from them. But what they cover - or rather, don't cover - might surprise you. Briefly stated, the FDA "requires that pet foods, like human foods, be pure and wholesome, contain no harmful or deleterious substances and be truthfully labeled. The FDA and individual states always retain the right to inspect production facilities, particularly under the 2011 Food Safety Modernization Act (FSMA)." The FDA will not specify what a harmful substance is. Unfortunately, that can include several common foods that we might not think twice about giving to our pets, such as onion, garlic, or avocado. The FDA does not inspect your pet food company’s production facilities; they merely retain the right to do so. "pentobarbital residues are entering pet foods from euthanized, rendered cattle or even horses." Another regulating authority is the Association of American Feed Control Officials (AAFCO), a voluntary membership association of local, state and federal agencies charged by law to regulate the sale and distribution of animal feeds and animal drug remedies. "AAFCO establishes the nutritional standards for complete and balanced pet foods, and it is the pet food company's responsibility to formulate their products according to the appropriate AAFCO standard. It is the state feed control official's responsibility in regulating pet food to ensure that the laws and rules established for the protection of companion animals and their custodians are complied with so that only unadulterated, correctly and uniformly labeled pet food products are distributed in the marketplace and a structure for orderly commerce." In both of the above instances, there is great leeway given to pet food manufacturers in how they formulate their food. The pet owner is thrust into a clear caveat emptor situation: buyer beware. It is incumbent upon us as pet owners to determine if what we feed is appropriate and meets the requirements our pets need for a healthy life. The term “Prescription Diet” is a registered trademark of Hill’s Pet Nutrition (by their own admission) and should not be confused with any pharmaceutical your veterinarian may prescribe for your pet’s health and well-being. You may have noticed that there has been an increasing number of pet food recalls in the past year or so. Many of these recalls are for dry pet foods that have been found to contain salmonella - a bacteria normally associated with the handling of raw meat. [ By comparison, the Canadian Veterinary Journal published an assessment back in 2002 of the risk of salmonella to dogs fed a raw diet, and stated that "no reports documenting clinical salmonellosis in dogs fed a BARF diet have been published." Sadly, salmonella isn't the only cause for pet food recalls. 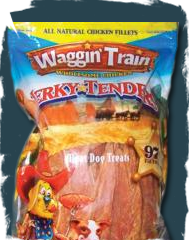 Since 2007, the FDA has issued warnings for contaminants in chicken jerky treats that have caused illness and death in dogs. And to date, scientists have been unable to determine a cause. Because of these health scares, many pet owners unsurprisingly have opted to feed their pets homemade diets to protect them from such illnesses. But here's the rub: veterinarians are beginning to see an uptick in the number of pets who suffer from health issues as a result of feeding a homemade, nutritionally incomplete diet. Based on the above information, it's become increasingly important to know your pet's nutritional needs. First, a nutritionally complete pet food should have a statement similar to "(pet food brand) is formulated to meet the nutritional levels established by AAFCO Nutrient Profiles for (life stage)." They may also go so far as to state that they comply with NRC regulations. In our opinion, based on what we know of radiation physics, if a pet food also states that their ingredients are sourced from USDA-inspected facilities or are made from human grade foods, well, that's even better. Second, don't be confused by misleading marketing terms. Dr. Ashley Hughes, a veterinarian at Friendship Hospital For Animals in the DC area, states on PetMD's website that "pet food labels are not very helpful." They can be confusing and difficult to decipher, especially when they carry such claims as "natural" or "holistic" that make interpreting a label very difficult indeed. Below, you'll also find a list of links to a few places where you can find guidelines for homemade diets by actual veterinarians and animal hospitals. Whatever you end up feeding your pet, we hope that this information is helpful to you as you make those decisions. très intéressant, chez nous, c'est Hill's depuis que les minettes sont petites, et un petit morceau de viande de temps en temps. That is a very good end point. Just because it is homemade doesn't mean a healthy diet. Food for thought (excuse the pun). Have a marvelous Monday. I'm a little saddened that the take away seems to be the agreement that home made isn't healthy. Why have we been brainwashed that we can not cook for our pets? Why do we feel that a few hours a month prep time is 'inconvenient" to prepare food for our pets? There is a movement in human nutrition to get away from prepackaged highly processed foods but yet we are so darn resistant to do it for our pets.. who have a less forgiving digestive system than our own.. I also find it sad that food manufactures are so quick to prey on our prejudices when it comes to food.. Cat food advertised with "whole grains" fruits and veg.. because we humans recognize these foods as healthy.. blueberries for antioxidants.. etc But there is NO proof that these foods have any nutritional value for obligate carnivores. You never see a zoo feeding blueberries to lions.. Now that the word is spreading that grains are bad for cats a lot of foods are going "grain free" which gives them an air of healthy.. but what they don't tell you is they just switched to potatoes or some other starch to get the food to form into the shape your recognize..
anyway.. I've got more of a post here than a comment, my apologies (but yet I'm still hitting publish) Thank you for tackling this topic. Three out of three kitties agree with him! Thank you so much for all of this information. What to feed your pet is a very confusing subject. Thank you for all your research. It is very helpful. This is great info. Ever since the big pet food recall in 2007, the mom has been more conscious of what is in our foods. My human is what you would call moderately careful about what she feeds us - she gives Boodie and Binga grain-free canned food only (I am picky so I get the highest quality whatever-I-will-eat), and checks the label for standards and protein to carb content. But even that is not really enough - it seems like no one is really keeping track of what winds up in our food! Not to mention human food. So very true. Scary, isn't it? Very inneresting piece. I read it to my humans especially the line about the healthy food only being healthy if the cat eats it. One of my meals is grain-free. I hardly touch it, preferring to save my appetite for my Fancy Feast. The peeps mainly give me the grain-free because it's got tons of pumpkin soup in it. I won't drink water but I drink the pumpkin soup. So far it's been keeping me hydrated. My fur gets tented a few times a week. Sadly you don't mention the poisons that the Chinese put into the pet treats they manufacture although just about everybuddy knows about them. Food awareness is important to keep on top of since it changes so much over time. Some of those resources I had not known about glad that there are Awareness Months on these health facts. We are too! It's amazing the resources you have now through the internet! We have been very careful about what we feed our cats and dogs for the last 20 years. I started to make our dogs' food before the first recalls. A number of pets were dying from ingredients in dog food, my parent's dog was a death's door and the vet figured it was the food she was eating. Then, people were not so informed as they are now. The cats - have a mix of home and store food. Mostly because of the taurine. I am happy that people are more concerned now. Yes, making your pet food can take time, but in the long run, it can be more cost effective and is better for them. Our Dogs prefer home made - much to my chagrin when I pay big bucks for wholesome store bought dog food and they won't eat it! We sure would like to hear more about your homemade recipes for Nellie and Kosmo whenever you have time. We really want to try to go the homemade route! Hi and happy Passover! Thanks for writing about this. I recently did some research for a post for a site to which I contribute. It can be really scary reading about what goes into all this. Unless we do as you do, we've got no control. You have to be so careful to make sure the cats get everything their bodies require if you do this on your own. We'd love to learn more about your recipes!